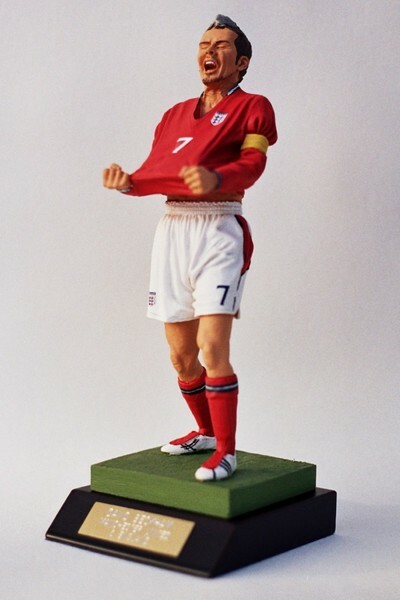 A superb figurine of David Beckham in his England strip, celebrating a goal. He is the first English player to win league titles in four countries: England, Spain, the USA and France. He retired in May 2013 after a 20-year career, during which he won 19 major trophies. He was inducted into the English Football Hall of Fame in 2008.